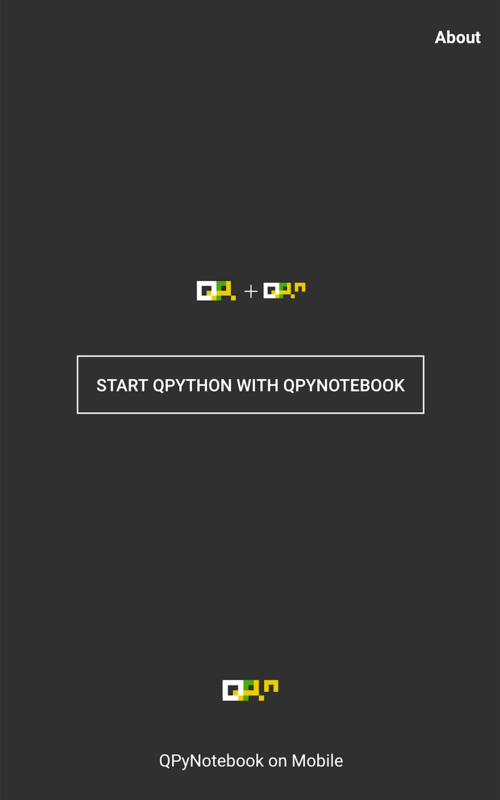 Do you want some application which helps you create and share documents that contain live Python code, equations, visualizations and narrative text? 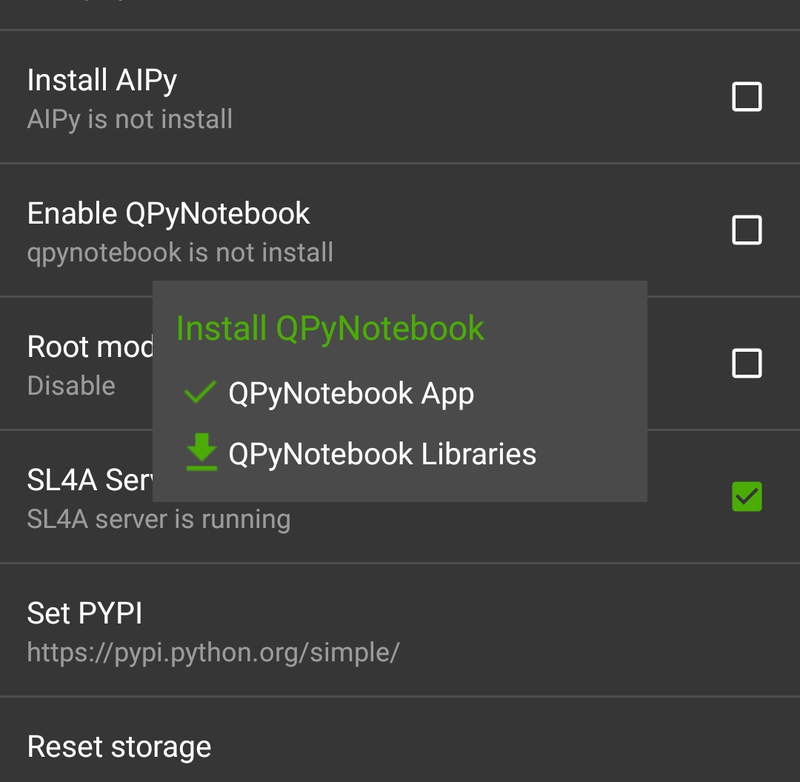 Now, QPyNotebook for QPython is published, which is developed based on the great opensource project jupyter notebook, it will help you do the following jobs easily like data cleaning and transformation, numerical simulation, statistical modeling, data visualization, machine learning and much more. 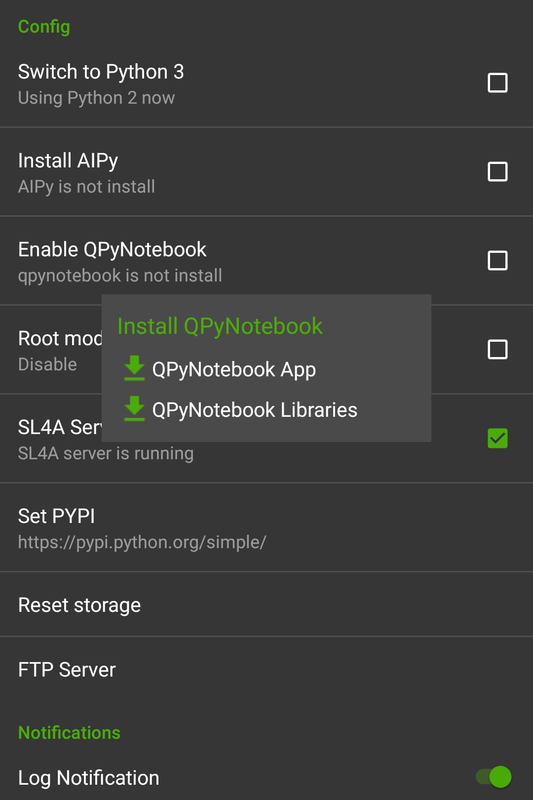 Click the QPyNotebook App button to download QPyNotebook, the button will take you to the Google Play App Store. 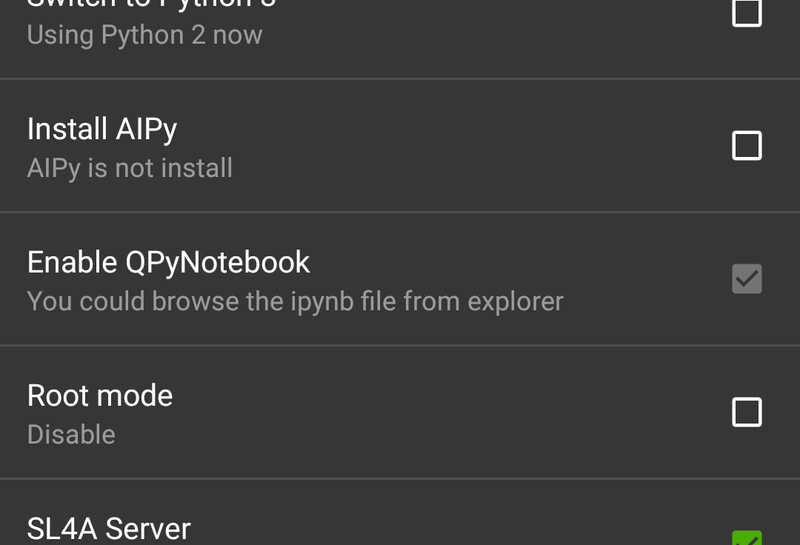 Click the QPyNotebook Libraries button and there’ll be a terminal window to download those libraries. 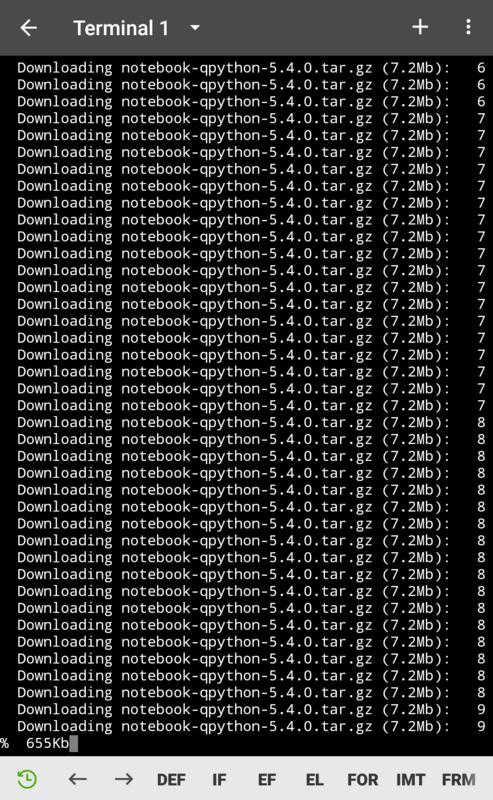 It may take a while, and after downloading finish, the terminal window will be closed automatically. 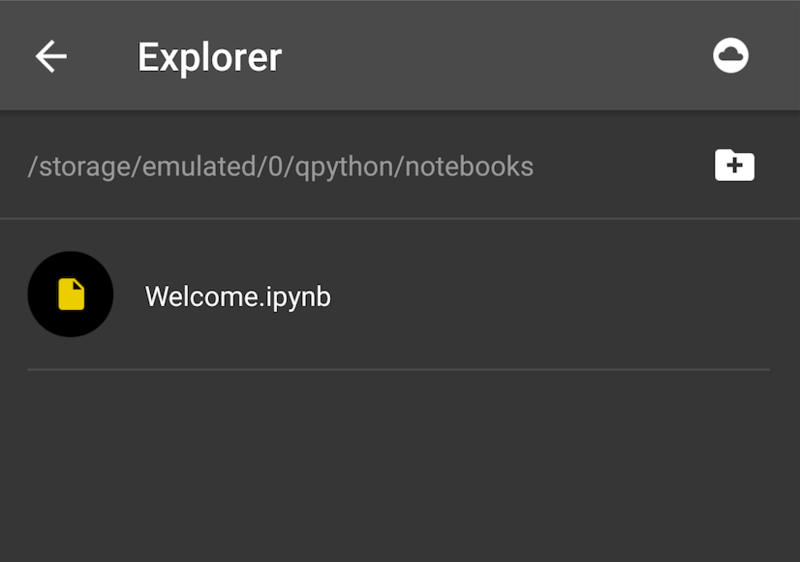 Open the Explorer from QPython dashboard, find some *.ipynb files (For example notebooks/Welcome.ipynb) and open it, then you will start the QPyNotebook. 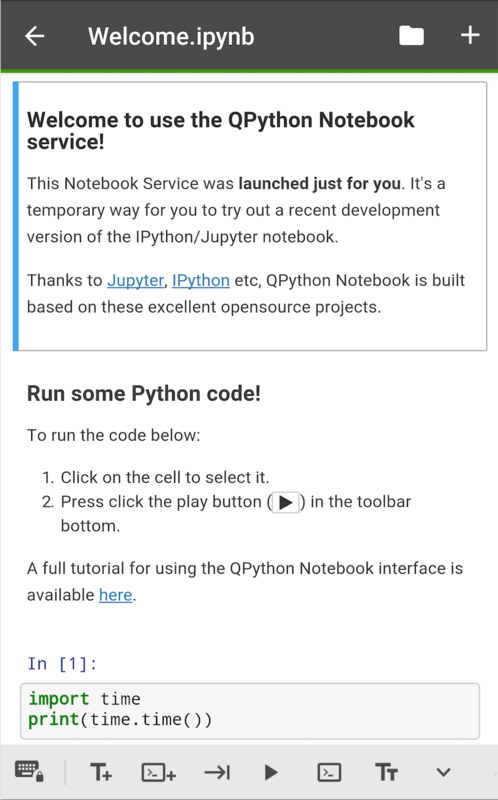 Feel free to give us any feedback please.